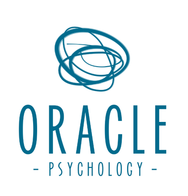 Oracle Psychology's clinicians are Psychologists Registered with the Psychology Board of Australia (PsyBA) and maintain active membership with the Australian Psychological Society (APS). Our clinicians adhere to the strictest of professional standards and ethical principles. We have many years of experience and knowledge to assist children, young people and families. We believe that it is essential for our staff to be dedicated, caring and approachable. Our Child Psychologists have extensive experience helping children and adolescents with a variety of developmental, mental health, behavioural and learning conditions. They hold tertiary postgraduate qualifications in General and Clinical Psychology. They apply evidence based approaches with a warm and caring approach. We assist clients and their families by providing practical and helpful solutions which are directly relevant to the individual's needs. Our practice understands that children and parents require assistance with a range of challenges throughout their life and finding the right professional to help is of the upmost importance. Oracle Psychology specialises in child and adolescent development because we know that assisting young people requires a dedicated and skilled approach. We pride ourselves on our knowledge and expertise in this specialist field. At Oracle Psychology we strive to maintain the highest of standards in the provision of child psychology services in Newcastle, the Hunter and Central Coast regions. If you are seeking support from Child Psychologists who combine knowledge, experience and kindness then Oracle Psychology can help you. Click below to find out more about our clinicians.